Now that spring is here, I’m getting ready to get my little vegetable and herb garden going again. In the past I’ve always bought ready-to-plant seedlings from my local garden center, but this year, I’m trying something a bit different – I’m planting my garden entirely from heirloom vegetable and herb seeds. It wasn’t until fairly recently that I discovered how many varieties of heirloom seeds there are, and, being someone who is obsessed with all things old-fashioned, I was pretty excited about the idea that I could grow the same varieties of vegetables that people grew 100, 150, or even 200 years ago! Heirloom seeds aren’t just for history lovers, though. They’re great for anyone who wants to grow beautiful, delicious vegetables in their backyard. One of the main reasons why people love growing heirloom varieties of vegetables is their incredible flavor. Many modern hybrid vegetables were developed to be really tough varieties, so that they can withstand long shipping distances across the country. Heirloom varieties, on the other hand, came from a time when vegetables were grown in your own backyard or on small local farms, so the focus could be on taste rather than on durability for transport. Many modern hybrids are bred for very high yields, but these higher yields sometimes come at the sacrifice of the nutritional value of the plants. Studies have shown that several modern plants have lower levels of nutrients than the same types of plants did in past decades, especially for large industrial farming methods that often deplete the minerals in the soil. Open pollinated heirloom seeds can be saved for planting again next year. Unlike seeds from hybrid plants, which you would need to keep buying each year, you can save the seeds from your heirloom vegetables for the next season. 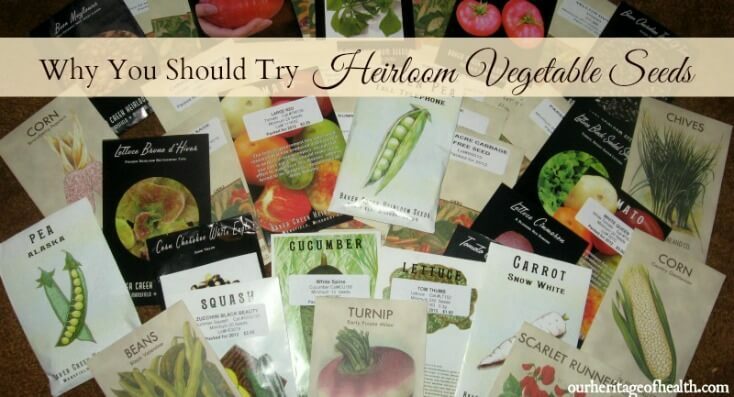 So, you could essentially only have to buy a seed packet one time and keep growing heirloom vegetables in your garden year after year! 4) You Can Have Fun Trying “New” Unusual Varieties! There are so many different varieties of heirloom vegetables that we never see in the typical grocery store today – things like yellow tomatoes, white carrots, blue-podded peas, and even purple beans. 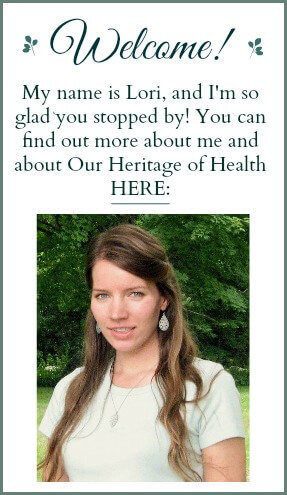 And the fun part about getting these heirloom seeds is that you can learn about the history behind the different seed varieties and the dates for when they were popular. I’m really looking forward to growing Scarlet Runner beans (mentioned as early as 1750), the Connecticut Field Pumpkin (a Native American heirloom since the time of the first New England settlers), and the Large Red tomato (a pre-1830s variety documented to have been grown by the Shakers in Massachusetts) among all of the other amazing varieties of seeds. Just about every type of seed I ordered was grown in the 1800s and before, so this summer I hope to taste some truly historic varieties of vegetables! I ordered my seeds from the Baker Creek Heirloom Seeds Company and a related company called Comstock, Ferre and Co. There are literally dozens of varieties of seeds from just about every vegetable you can imagine. These seeds aren’t all certified organic, but they are untreated by pesticides, and all of their seeds are open-pollinated and non-GMO, so you don’t have to worry about anything questionable on your seeds. I got so excited about all of the different seed varieties that I might have gone a little bit overboard when I was buying them. I probably don’t really have room in my garden for six different varieties of tomatoes . . . but I just couldn’t resist trying them all anyways. All in all, I got 46 seed packets. (Yes, I realize I’m crazy.) If all goes well with my garden this year (fingers crossed!) I’ll have five different types of beans, three types of corn, three types of carrots, three types of cucumbers, two types of pumpkins, squash, turnips, parsnips, and just about all the herbs I could ever want! 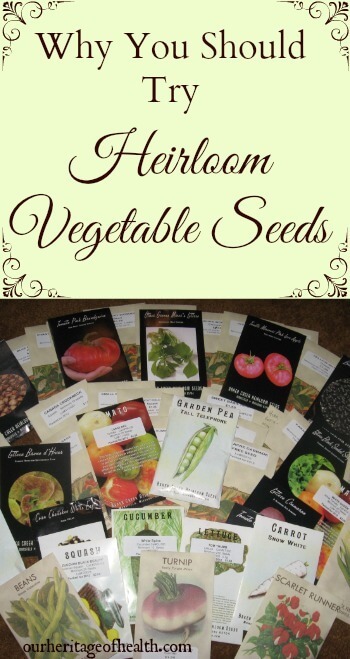 Want to Plant Heirloom Seeds? Heirloom seeds aren’t always easy to find in garden centers, so the best place to find them is usually online. Seeds Now is a source I recommend, especially for beginner gardeners, because they offer smaller sample seed packs and because their seed “personality” categories make it easy to find seeds that will work well with your particular garden.